Slow down. 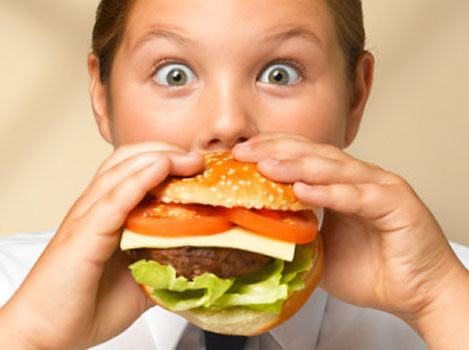 It takes time for the brain to realize that the stomach is actually full. If your child eats slower and drinks water while eating then he will get full faster. Do not allow second portions unless he is truly still hungry. Keep the serving platters off the table to make it more inconvenient to reach for a second serving. Dr. Shaer is a pediatrician and a board certified lactation consultant (IBCLC). She is director of the Breastfeeding Medicine Center of Allied Pediatrics of New York. Dr. Shaer is dedicated to helping nursing mothers achieve their breastfeeding goals. Excessive milk can cause anemia? How? A recent facebook posting recommending limiting milk intake prompted questions from followers about iron deficiency anemia from milk. Nutrition and iron balance is actually a relatively lengthy discussion, so I will try to explain it here. Short answer: Cow’s milk has little iron. When kids drink a lot of milk, they don’t eat iron-containing foods in sufficient volumes. Cow’s milk also has big proteins that can cause microscopic bleeding in the gut. The more milk consumed, the more bleeding (though usually still not seen in the stools). Iron is used to build healthy red blood cells that carry oxygen throughout our bodies. Too few red blood cells in the body is called anemia. Red blood cells are made in our bone marrow and they live for about 3 months. It is important for the body to continually make new red blood cells as it breaks down and removes old ones. Why does preventing iron deficiency anemia matter? Because the most common symptom of anemia is no symptoms. It can go unnoticed for quite a while in some kids, yet cause long term problems with growth and development. Symptoms develop when the anemia becomes more severe and include tiredness, looking pale, irritability, decreased appetite, slowed development, weakness, immune dysfunction, and pica (eating non food substances- such as dirt). Newborns are designed to drink their mother’s milk. Humans have learned to make formulas that can nourish babies if they aren’t able to drink their mother’s milk for whatever reason. Cow’s milk, soy milk, and goat’s milk are not acceptable for infants due to the nutritional voids they have (not just iron). After about 1 year of age babies tend to wean from mother’s milk and/or formula onto whole milk. (Newer recommendations allow weaning onto low fat milk–another topic entirely.) Unfortified non-human milks contain very little iron. The iron in human milk is better absorbed and iron is supplemented into formula. If toddlers and children drink too much milk, they fill up on it and don’t eat a variety of other food groups that include iron and other important nutrients missing in their milk. Vitamin C increases iron absorption, so eat foods with iron and Vitamin C at the same meal! Confused Which Vitamin To Give To Your Child? With so many vitamin options available, choosing the right vitamin for your child can be a daunting task. Not all vitamins are all the same! The age and health history of your child are important factors to consider. A premature infant will have different requirements than a healthy 2 year old. My goal here is to give a sense of direction in the vitamin isle, but it is important to discuss individual needs with your doctor. Often doctors will prescribe vitamins for your newborn, so that makes it much easier! Other times, they tell you the name of the vitamin to choose in the isle. The vitamins your pediatrician recommends at this age is a little different depending on whether your breastfeeding your child or not. Vitamin K is very important in the newborn period but thankfully all babies get a vitamin K shot right at birth and the subsequent needs are met by breastmilk and formula. Breast-fed babies need extra vitamin D: 400 IU and iron supplement of ~ 11mg daily starting at 6 months. Typically, pediatricians will give D-visol (vitamin D) through 6 months of age, then switch to poly-vi-sol (multivitamin) with iron starting at 6 months, but some pediatricians opt to start the multivitamin from the start. Either choice is fine. All formulas are iron and vitamin fortified to contain at least the recommended daily amounts for the first year of life. After the 1st birthday, life is completely different! 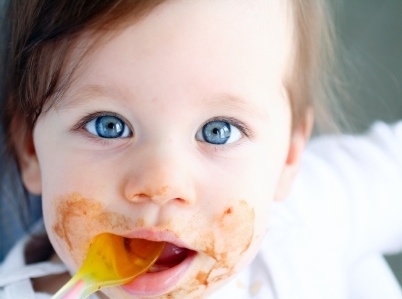 Your little baby is turning into a toddler and with it comes a whole new challenge: feeding. We switch them from their vitamin fortified breastmilk or formula to whole milk and table foods. The tricky part is that toddlers are inherently picky! They manage to get enough calories through all of the “picking” of their food, but do they get enough vitamins and minerals? Consider this: One cup of whole milk (about 8 oz) has only ¼ of the recommended daily allowance of vitamin D, ½ to 1/3 of the amount of calcium, and no iron. This means that your child will need to drink 16- 32 oz (2-4 glasses) of milk to get all the vitamin D and calcium they need – but you would still need to consider their iron needs. Also, high volume of milk intake (more than 16 oz a day) can lead to anemia. Translation: your mom was right that milk is good for you but there is too much of a good thing. So, what to do? In general, all vitamins and minerals are important, but some are easier to get them to eat than others. We can focus on a few important ones: vitamin D, calcium, iron, B vitamins, and folate. Iron is important in red blood cell formation and neurologic development among other things. It is plentiful in meat, dark leafy green vegetables, beans, tofu, cereal and bread. 1-3 year olds need about 7mg per day, 4-18 year olds about 10-12 mg per day except for menstruating adolescent girls who need about 15mg daily. B vitamins are important for production of oxygen carrying cells and can be found in fish, poultry, meat, eggs, dairy, leafy green vegetables, beans/peas, breads and cereals. B6 and B12 are fairly easy to get in the diet. 1-8 year olds need about 0.5 – 0.6 mg per day and teenagers need about 1.0-1.3 mg/day. Calcium is very important for growing bones. Some sources of calcium include cheese, yogurt, orange juice, fortified breads and cereals, spinach, and salmon. 1-3 year olds need ~ 500 mg a day, 4-8 yo need ~ 800 mg a day. and 9-18 year olds need ~ 1,300 mg a day. Vitamin D is a tough one! The best source is the sun…but we spend most of our year bundled in sweaters, coats, scarves…you get the idea. There are a few natural food sources: cod liver oil, salmon, mackerel, tuna, liver, and egg yolk. My 3 year old definitely won’t eat liver. Thankfully, cereals and dairy are fortified. The current recommendation for all age groups is a minimum of 400 IU daily. After sorting through the vitamin isle, it seems that either Flintstones’ Complete – it is ½ tablet for 2-3 year olds and a full tablet for older than 4 years or Centrum Kids Complete Multivitamin are the best bet for toddlers and school age kids. Even still, they don’t provide 100% of the calcium and vitamin D in 2-3 year olds but they are pretty good for iron, B vitamins, and folate. There are so many character and flavor choices available but the nutrition guide for these two vitamin types can at least provide a guide to compare the other vitamins to while your head is spinning in the isle. Overall, remember that vitamin supplements are just that – supplements to a healthy diet. Children with any special needs will have different requirements. Though they taste good and are probably easier to get your children to take, the vast majority I have seen fall short in providing the necessary daily nutrients. Many contain ¼ to ½ the amount of vitamin D and 10% or less of the needed calcium;No gummies contain iron. Many have the minimum amount of B vitamins but less than the recommended folate. Each gummy does, however, contain about 3g of sugar. If the serving size for your child is 2 gummies, giving them their vitamins is about the same as giving them a ¼ cup of soda! 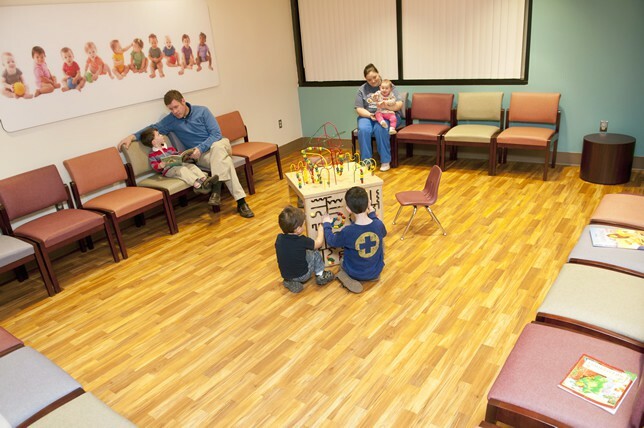 Dr. Graba is a practicing pediatrician at Salud Pediatrics. This is one of our most commonly asked questions at well-child checkups. 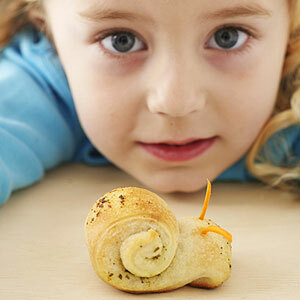 Vitamins and minerals are important elements of the total nutritional require­ments of your child. Because the human body itself is unable to produce ade­quate amounts of many vitamins, they must be obtained from the diet. The body needs these vitamins in only tiny amounts, and in a balanced diet they are usually present in sufficient quantities in the foods your youngster eats. Breast fed infants need vitamin D supplementation until they are able to eat foods containing at least 400 IU of vitamin D a day. Children in homes with well water may need a fluoride supplement to support dental health — ask your dentist or us for a prescription if your child does not consume fluoridated water elsewhere, such as school or daycare. Otherwise, in middle childhood, supplements are rarely needed. For some youngsters, however, we may recommend a daily sup­plement. If your child has a poor appetite or erratic eating habits, or if she con­sumes a highly selective diet (such as a vegetarian diet containing no dairy products), a vitamin supplement should be considered. These over-the-counter supplements are generally safe; nonetheless, they are drugs. If taken in excessive amounts (in tablets, capsules, or combined with other supplements), some supplements — particularly the fat-soluble vita­mins (A, D, E, and K) — can be toxic. Scientists are finding that in some special situations and diseases, vitamin supplementation can be an important con­tributor to health. However, so-called megavitamin therapy or orthomolecular medicine — in which vitamins are given in extremely large doses for conditions ranging from autism to hyperactivity to dyslexia — has no proven scientific validity and may pose some risks. Vitamin C, for example, when consumed in megadoses in hopes of undermining a cold, can sometimes cause headaches, diarrhea, nausea, and cramps. As much as possible, try to maximize the vitamins your child receives in her regular meals. Click here to read more about some of the vitamins and minerals necessary for normally growing children, vitamin rich foods and recommendations for specific supplements. Dr. Gruen opened her practice, Village Pediatrics, in 2009, but prefers spending time creating fantastic kids birthday parties.